He’s one of the few celebrities out there who’s openly admitted to getting a hair transplant – but then it’s not like he could hide it! 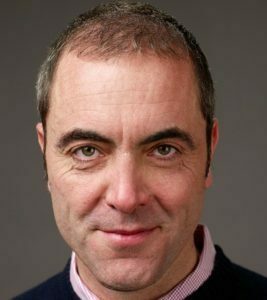 Irish actor James Nesbitt was very noticeably bald some years ago but nowadays can be seen sporting a full head of hair. This incredible transformation is the result of not one, but two, hair transplants. 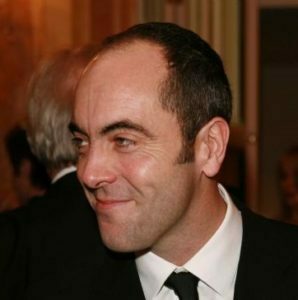 So if you’re wondering what it takes to go from bald scalp to full head of hair like this, here’s everything you need to know about James Nesbitt’s hair transplant. James Nesbitt’s first major acting role came in British comedy/drama Cold Feet in the late 1990s. The show’s initial run came to an end in 2003 – by which point James Nesbitt was very noticeably losing his hair. As you can see from this photo, the Irish actor is around a Norwood stage 4A – a typical pattern of male hair loss that primarily presents as thinning at the front of the scalp. This side-on photo from 2006 further highlights the extent of his hair loss. His hairline is very heavily receded, leaving almost no hair at the front of his head. As an actor, Nesbitt was concerned with his hair loss, worried that being bald may affect his career and chances of landing acting roles. So, he decided to get a hair transplant. 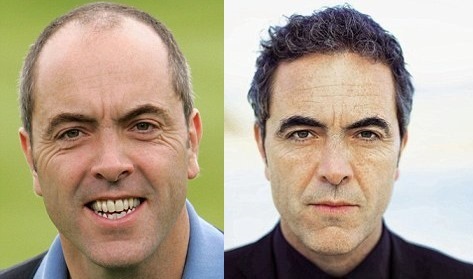 It appears James Nesbitt had his first hair transplant surgery some time in 2007/2008. Here he is pictured in 2009 – enough time for the full effect of this first surgery to be visible. As you can see, the coverage of his hair has greatly improved. No longer does he have the Norwood 4A hairline of a few years prior. Instead, he has a more youthful, flat, hairline. But the density leaves a lot to be desired. This is perfectly normal though. Even the most skilled hair transplant surgeons are unable to achieve perfect density – at least from a single procedure, anyway. To go from slick bald to the kind of dense, natural, look of someone who has never lost their hair usually requires at least two procedures. The first hair transplant gives the kind of coverage seen here. The second procedure adds density, creating the appearance of thick, full hair. Normally, the two surgeries are spaced between 18 and 24 months apart to allow the first surgery to fully grow in. 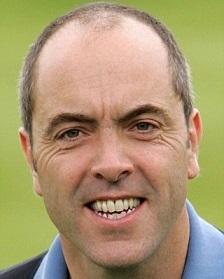 James Nesbitt’s first hair transplant saw a major improvement in comparison to how it was before. But nowadays it’s even better still. The results are so great, in fact, that you might doubt he was ever losing his hair in the first place! His hair looks completely natural and age appropriate – a real testament to how advanced today’s procedures are. He mentions, of course, that he is also using hair loss treatments finasteride and minoxidil. It’s great Nesbitt is so candid about his battle with hair loss. But then again, it’s not like people wouldn’t notice he went from bald to full head of hair overnight! He’s not like Bradley Cooper, for example, who we recently speculated may be one of many celebrities getting minor ‘top up’ FUE hair transplants to maintain a full head of hair. If celebrities get hair transplants before their hair loss becomes noticeable, people are much less likely to notice. But if you wait until you’re noticeably bald, like Jeremy Piven, it’s much more obvious when you do eventually get hair transplant surgery. 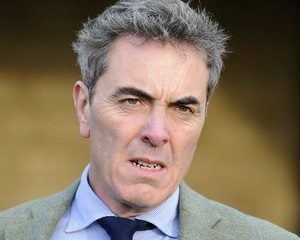 Even so, the results look great and James Nesbitt now has a fine head of hair. So, I know what you’re thinking: how can I reverse my hair loss like James Nesbitt? Perhaps the most commonly asked question about hair transplant surgery is: how much does it cost? James Nesbitt’s hair transplant was performed by Dr. Maurice Collins of Ireland’s Hair Restoration Blackrock (HRBR). This surgery is known to produce excellent results and has operated on other high-profile British celebrities – including X Factor judge Louis Walsh. But, of course, it doesn’t come cheap. 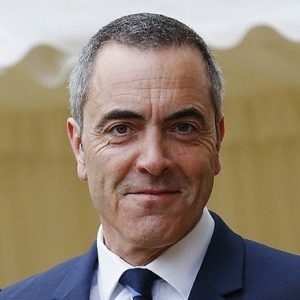 Based on the extent of his hair loss, and the fantastic head of hair he sports today, it’s safe to say James Nesbitt has had around 5000 follicular units transplanted over the course of his two surgeries. And at €10 each, well, that’s a whopping €50,000 (around $53,000 USD). But the results speak for themselves. James Nesbitt now has a fantastic head of hair. What a Lucky Man! Previous post: Has MATTHEW McCONAUGHEY had a hair transplant? Next post: Has TYGA had a Hair Transplant? Thus we can see that FUE transplant is a useful method for hair transplantation with minimal risks and long term benefits.